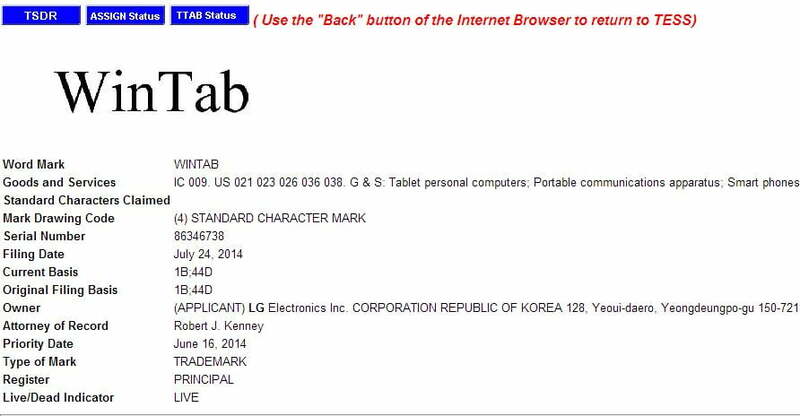 LG has filed trademark applications for the term ‘WINTAB’, and it is to be applied to a device described as “Tablet personal computers; Portable communications apparatus; Smart phones”. The LG WinTab, as mentioned, might be a new Windows 8 Tablet by LG Electronics. Of course,trademark filing doesn’t mean that the WinTAB name will actually be used. The good news is that LG is working on a new Tablet with Windows 8.